Cardinal Gerald Lacroix of Quebec said he has no intention to follow in the steps of his fellow Canadian bishops of Alberta and the Northwest Territories in refusing funerals for those who asked to be euthanised. “I don’t plan specific directives aimed at refusing this support or refusing access to the anointing of the sick and the celebration of funerals,” Cardinal Lacroix said in a statement. The cardinal was reacting to a document published earlier this month by the bishops of Alberta and the Northwest Territories, addressed to the clergy, in which they said these sacraments and celebrations may be refused for those opting for assisted suicide or euthanasia. “The Catholic Church accompanies people in every step of their life. 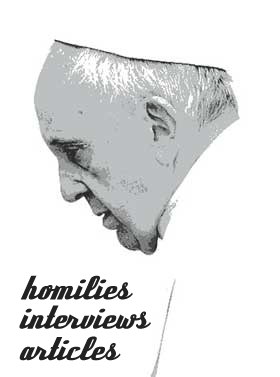 We do that in dialogue with every person and every family that wishes to be accompanied,” said the cardinal. He also reminded people of everyone’s “unconditional dignity in the eyes of God”. “This is why we will always opt for palliative care accessible for everyone instead of euthanasia,” Cardinal Lacroix said. He recognised that recent changes in the laws of the province of Quebec and in the Canadian penal code offer “new pastoral challenges” for the Catholic Church. In Montreal, Archbishop Christian Lepine also said he does not intend to ask his priests to refuse funerals for those who choose the now legal medically assisted dying. The Alberta and Northwest Territories bishops said in a statement that euthanasia is a “grave violation of the law of God”. They offered pastoral guidance and indicated that a person’s judgement may be impaired through “depression, drugs, or pressure from others”. Next story Is there a Pro-Life Decline?